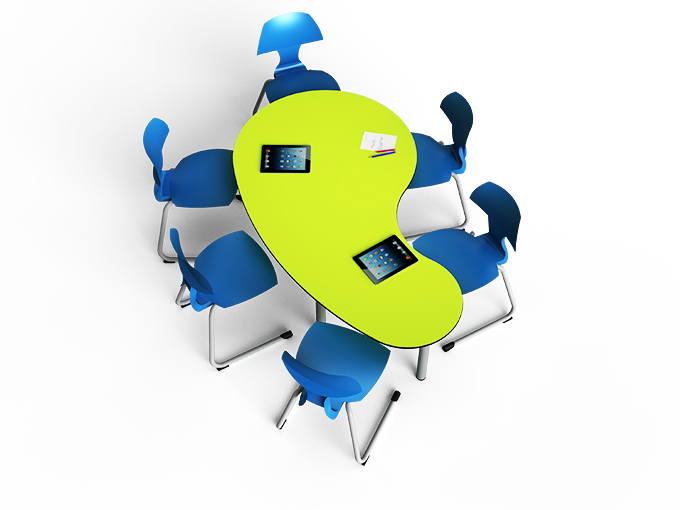 Classrooms and open plan learning zones. 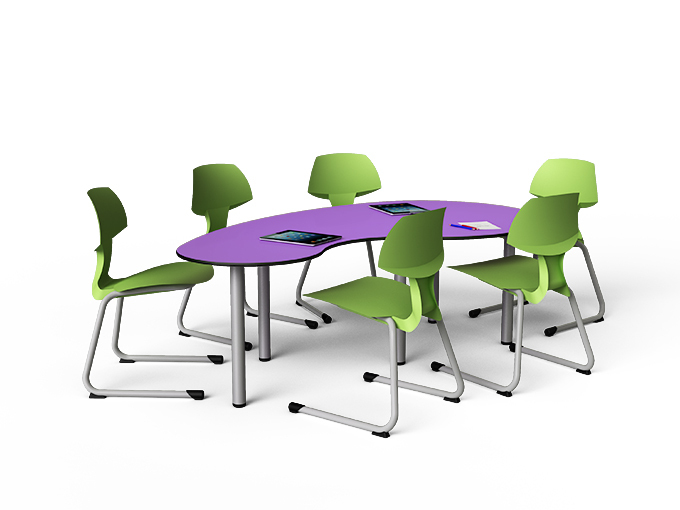 Add an element of fun to the classroom with some bright, colourful jelly bean tables for up to 6 students. Robust, curvy and available in a range of colours and sizes.